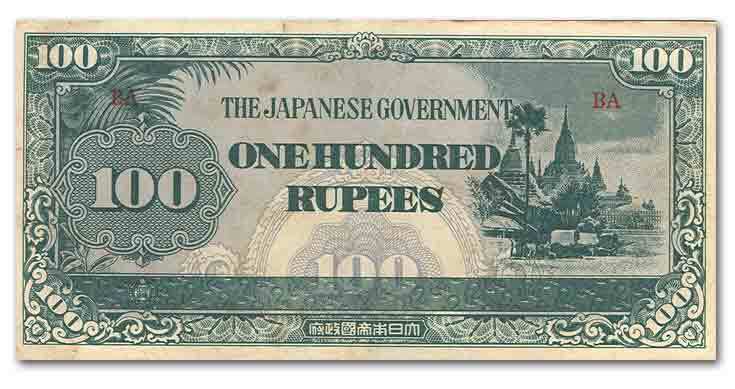 Meanwhile, over in occupied Burma, folks were given brand-new Japanese Government rupees. The new rupee was actually a different currency, divided into 100 cents. That system, and the bills it represented, were junked when the Japanese left. Like the other occupation bill, it feels like cheap thick toilet paper - and that's probably how much of it ended up.